Some argue the sole purpose of a vase is to hold flowers. To this we laugh and say “pfft, you’ve gotta be kidding!”. There’s a world of infinite possibilities with everything from shared cocktails and candy buffets to trendy terrariums and insane freaksundaes. The Warehouse has upped its homewares game as of late with frames, baskets, mirrors and—of course—vases. While we’re eyeing up the entire collection, we’re especially in love with this glass vase that sits pretty on a brass stand. Not sure how to style this vase in your space? Fear not! 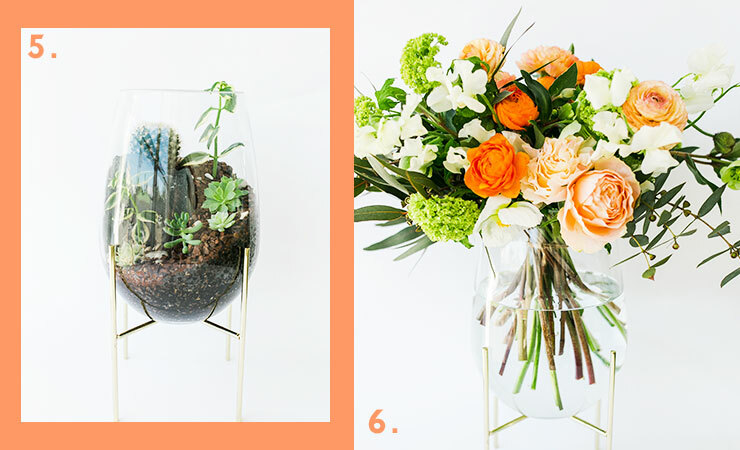 We’ve rounded up six ways to bring out the best in your vase. Freakshakes have had their moment… ‘tis the season of freaksundae. The possibilities are endless when creating one of these bad boys. Our advice? Go hard or go home. Pair scoops upon scoops of ice-cream with brownie, biscuits and waffles. Don’t hold back when it comes to garnishes—adorn with chocolate, lollies, sprinkles, whipped cream and the all-important cherry on top. We accept no responsibility for the impending sugar coma coming your way! The promise of summer means one thing: cocktail season is hereee! And, if you want your cocktail to impress, you better make it a biggie. Transform your vase into a supersized cocktail by mixing one part Pimm’s with three parts lemonade. Garnish with strawberries, orange, cucumber and mint and hey presto, you’re sippin’ on summer in a glass vase. It wouldn’t be Christmas without a decent dose of tinsel and mistletoe. Pop your vase front and centre on the mantelpiece and fill with all things Christmasy. We’re talkin’ candy canes, baubles and twinkling fairy lights. If you’re feeling particularly crafty, forage some pinecones and spray-paint with white ‘snow’. Move over, Santa—you’re the queen/king of Christmas now! Once your freaksundae sugar coma has passed, it’s time for round two. 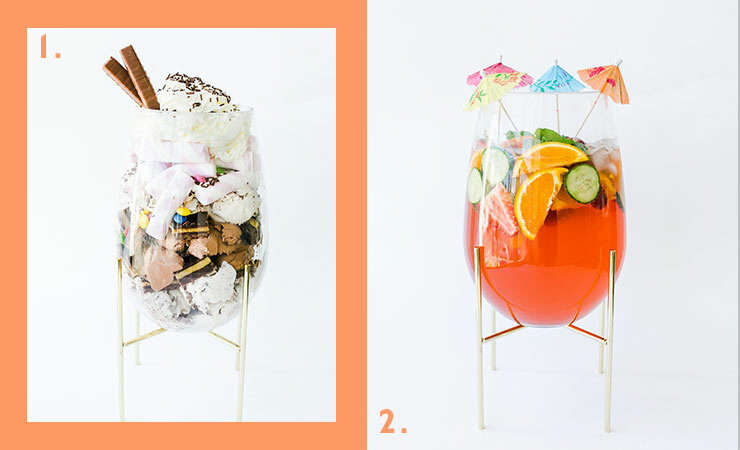 Create the most epic lolly jar everrr in two easy steps. 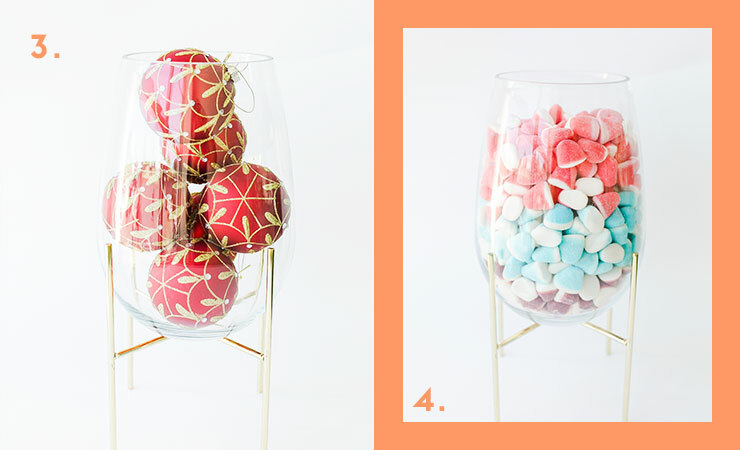 Step one: take your vase to the candy shop. Step two: get filling! Gummies, jellies, sours and chocolate… the more lollies, the better. Grab multiple vases to create a vibrant candy buffet at your next shindig or event. Bring a lil’ bit of greenery indoors with a sharp-lookin’ terrarium. Rest assured, they’re surprisingly easy to make and maintain. Start with a layer of pebbles (cacti hate soggy bottoms) and top with a thin layer of charcoal (this will keep your soil happy and healthy). Top with soil and—working from largest to smallest—add your succulents and cacti. Take things next level with rocks, gemstones and figurines. If all else fails, the beautiful vase is perfect for—you guessed it—flowers! Treat yourself (you totally deserve it) or pop a bunch in said vase for your bae/bestie. Alternatively, channel your inner florist and forage blooms and grasses from your neighbourhood—you’ll be surprised at what you find! Adding a pretty bunch of blooms to your home is sure to brighten your mood and energy. Want need a vase of your own? Check it out online or drop into The Warehouse near you! Editor’s note: This article is proudly sponsored by The Warehouse and endorsed by The Urban List. Thank you for supporting the sponsors who make The Urban List possible. Click here for more information on our editorial policy.